Those two words conjure up lots of images… Waiting. Watching the clock. Scrambling. Diabetes takes this stressful exercise to a new level. Seven years ago we were nerved up about how this process would go. Our son N had been diagnosed with diabetes one year earlier. We had never boarded a plane with this disease. We researched and followed the recommended steps without incident. In the seven years of being on MDI (multiple daily injections), never did we have an issue. They never asked to see the letter either. They never questioned our ice blocks or liquids to treat lows (in sizes larger than 3 oz.). In recent years, we actually became fairly relaxed about it. Using the word “relaxed” is pretty significant for me if you’ve been following my blog. N has a life-threatening peanut allergy as well as diabetes (and other conditions). Add my flight anxiety to the mix and “relaxed” is hardly a recognizable word on airline travel days! There were loads of forums with similar questions posed. How do I travel with my pump and CGM? What should I expect? Most comments offered helpful information and reassurance but the sprinkling of TSA horror stories sure caught my eye. And the advice was often inconsistent. I came across Meri’s post from Our Diabetic Life, encouraging families affected by diabetes to make use of the TSA Cares Program. She cautioned that if we don’t use this program, we may lose it! A guest post by Lisa on Michelle Litchman’s blog Health in the Presence of Social Media, also urges PWDs (persons with diabetes) to use the TSA Cares Program, citing the same caution given by Meri. TSA Cares is a Transportation Security Administration helpline specifically dedicated to the needs of people with disabilities and medical conditions. They provide information regarding airport checkpoint screening and access to Passenger Support Specialists (PSS), who are specifically trained in disabilities, to assist with the screening process. So we gave it a try. The verdict? That program is awesome! At first, I was skeptical. After carefully reading the information about traveling with diabetes and traveling with children with medical needs on their web site, I called their toll free number 72 hours in advance — just as they had recommended. The TSA rep on the phone entered our information into her computer and proceeded to read all the paragraphs back to me that I had already read. Sentence after sentence. Before ending the call, she informed me that I will be hearing from a PSS. And that was that. Indeed, I did get a phone call from a PSS. We set up a time frame and a location to meet at the airport. With their direct phone number handy, our plan was in place. When we checked in with the airline, the PSS was waiting for us. He escorted my family through an expedited lane. No wait and lots of friendly conversation. This experience totally took us by surprise. As per most recommendations, we declined the use of the scanner, not wanting N’s medical devices to get damaged. He wasn’t subjected to a pat-down, either. They thoroughly looked through our cooler, inspected our diabetes bag and tested his hands for explosives. No one touched the medical devices on my son’s body. Everything went according to plan. Our three week family trip included three flight days — two of those days involved 14 hour treks. All were good experiences. On the second flight day, the PSS even lent us a hand with towing our luggage! The only discomfort we experienced was from feeling fellow passengers’ eyes bore into our backs as we moved through the expedited line. The final segment was different in that our PSS was very pleasant but a stickler for the rules. N had to endure his first pat-down. The agent conducted it in such a way that everything was carefully explained directly to my son, N. He did not find this new experience to be stressful. N’s hands were swabbed and the screening came back with “Explosives Detected”. I have read some horror stories about this… The PSS checked with his supervisor and she told him to try it again with the other machine — apparently the one he used had been acting up. Sure enough, it was clear and we were good to go. Our visceral response to the words Airport Security has changed for the better. 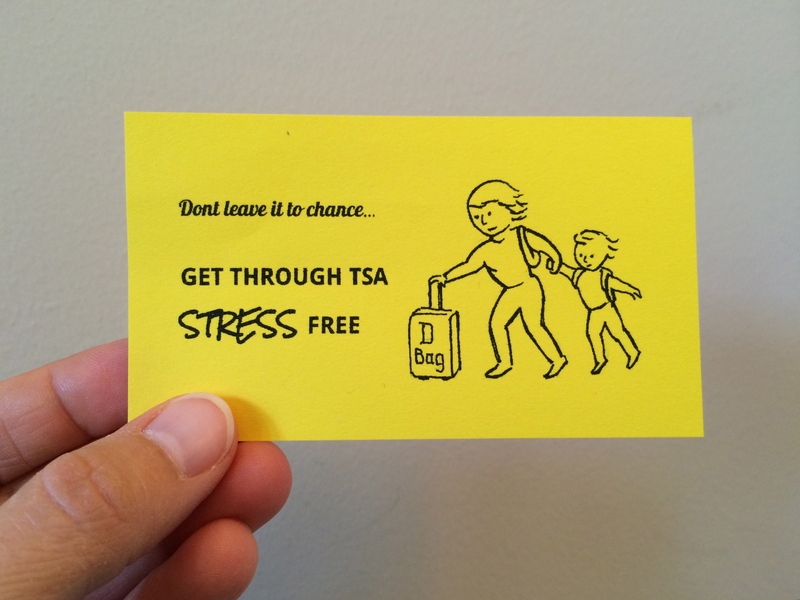 Utilizing the TSA Cares program took the worry out of it. Travel days are stressful. Uncertainties from diabetes are par for the course. Hassles are rare but they do occur as a result of unknowledgable and/or rude TSA agents. In our case, in addition to hauling a carry-on full of diabetes medical supplies, we carry Epi-pens and related allergy and asthma medications. We also pack a lot of celiac-safe and peanut-free foods along with ice packs to keep them from spoiling. The scrutiny from an uninformed TSA agent could mean a flight missed. A flight that has been carefully arranged to be peanut-free (as much as possible). Who should utilize the Passenger Support Specialists (PSS)? Interestingly, the American Diabetes Association (ADA) does not promote the use of this service. In the Katharine Gordon, director of the legal advocate program for the ADA was featured in a Joslin Diabetes Blog Post last February. She noted that there are few reported incidents and suggests that you might use the PSS if you anticipate any trouble with checkpoint screening. Gordon also goes on to suggest that a grandmother traveling alone in a wheelchair might make use of this program for additional support. Clearly, there are mixed messages about who should use this service. Faced with the same three week trip involving 14 hour flight days, we would use the TSA Cares PSS again. Not just for the expedited lines — though that is certainly a bonus. We would use it because these Passenger Support Specialists (PSS) are likely to be more knowledgeable about diabetes and the devices that my son wears. They may better understand the broader picture with his other medical needs. By using this service, I’m thinking that we have just decreased our hassle factor — exponentially. Technically, anyone with diabetes is eligible to make use of the program. But it’s the diabetes devices — the pumps and CGMs — that draw the scrutiny. 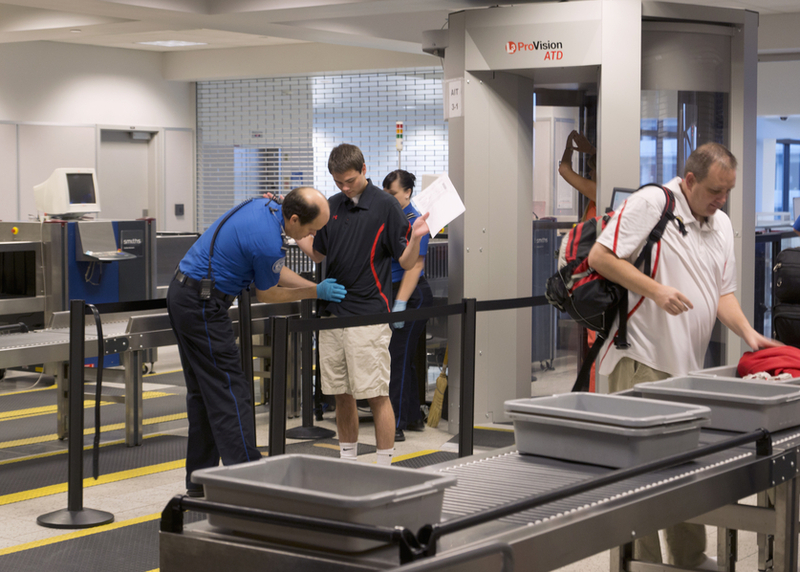 Utilizing the PSS from the TSA Cares program might be an appropriate service for you. Have you used TSA Cares and received the PSS assistance with checkpoint screening? What are your thoughts about this program? To learn more about flying with diabetes, check out the useful information from the American Diabetes Association. The Diabetes Hands Foundation also has a very informative page entitled Air Travel with Diabetes. In addition to listing helpful information, they feature D-blog posts about going through security.